Cookout With Chef Seefah and more…. Thai food is my favourite and an opportunity to cook with Chef Seefah, a culinary wizard at Four Seasons Hotel Mumbai, was an invitation I could not resist. Giving up a Saturday afternoon in favour of this culinary pursuit, seemed worth it. We were a small, coherent group and had a separate cooking station to ourselves. Chef Seefah, a petite young Chef, seemed even more enthusiastic than us. That really got me charged. We were going to prepare three Thai dishes with authentic ingredients, under her guidance and supervision. The ingredients were well laid out and we actually ground the Thai red curry paste ourselves. It was sheer joy. A sense of achievement filled me as Chef Seefah lauded my efforts for having ground a perfect paste. Vegetarian Thai red curry was what we prepared first. Felt good when it was ready and we served it in a bowl. Our very own culinary feat. 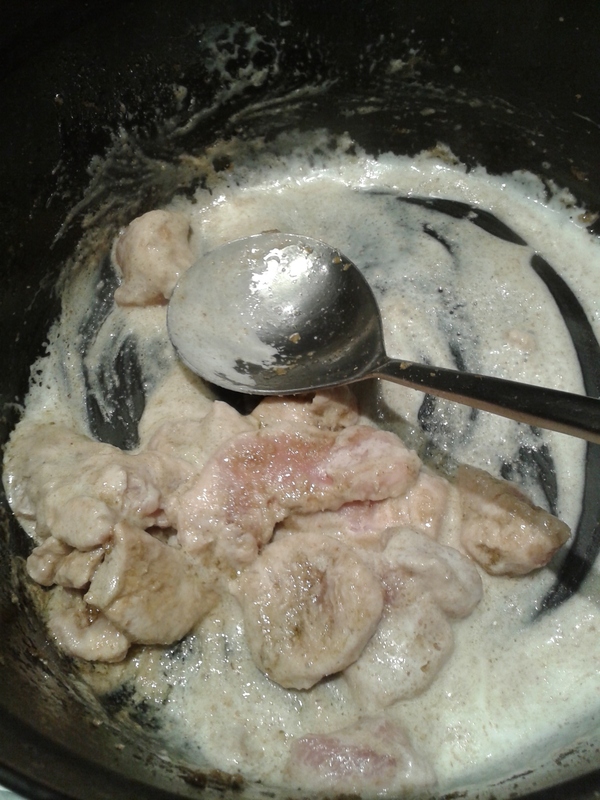 Thai green curry with chicken now seemed like child’s play. That too turned out well. The green paste is aromatic and fills your nostrils as you sauté it in oil. It made me feel hungry. 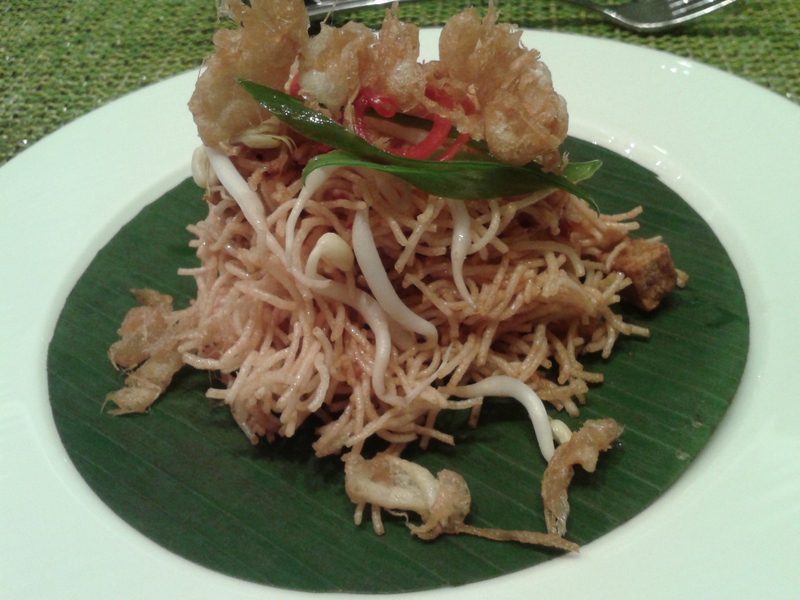 Som tam, the popular raw papaya salad was our last dish. Chef Seefah, made it look so easy and effortless as she pounded the ingredients deftly. 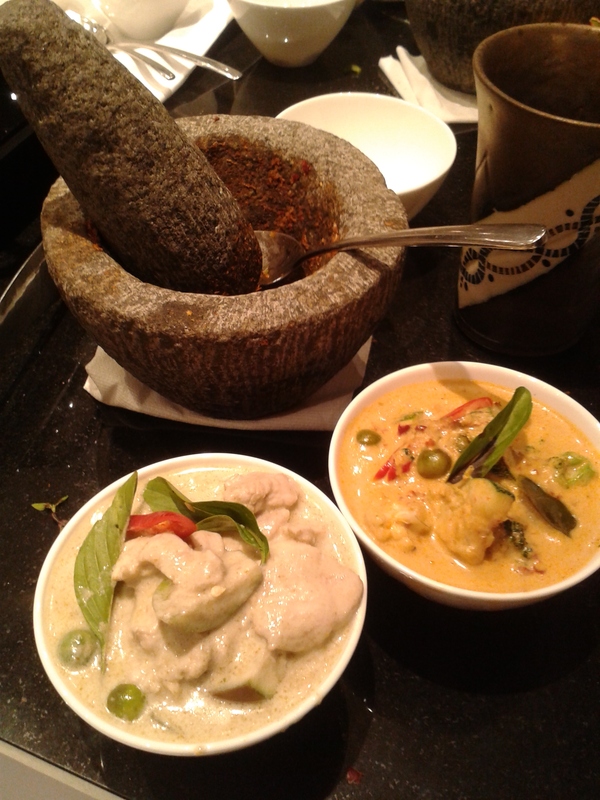 Another surprise lay in store for us, as we were treated to a Thai lunch with Chef Seefah’s signature dishes. Mi Grob Chao Wang (Fried Noodle in sweet and sour sauce), as the appetizer was perfect. Tingled my palate sufficiently with its subtle yet, tangy flavours. Steam Chilean Sea Bass Yellow Bean Ginger sauce with Thai Chicken Green Curry, came next. The otherwise fairly bland fish was pepped up with the yellow bean ginger sauce, flavours of which were unparalleled. Bua loy sam si ( Three – Colour Rice Dumpling in coconut Milk) was the traditional dessert, creatively prepared by Chef Seefah without any artificial flavours or colours. The event in association with the Thai consulate, was an enjoyable one and debunked several myth about Thai food. It is the authentic ingredients, which make all the difference. Thankfully, most of those are easily available in Mumbai now. Aren’t I glad I attended this event ? We had wonderful company, good food and the warm hospitality courtesy, Four Seasons Hotel. Armed with tips from Chef Seefah, I am planning to cook a Thai meal soon!